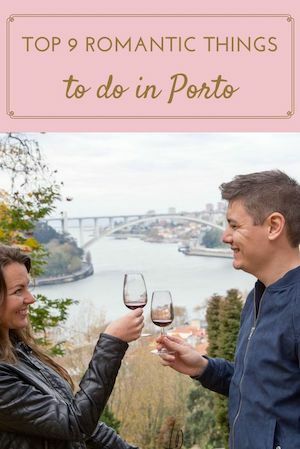 If you are on a romantic getaway in Porto, here is my suggestion of top 9 romantic things to do. Naturally, this is a personal choice, but it is one of those times when I say “trust me!”, as I have done them myself 😉 Enjoy it with your better half! There are plenty of Port wine cellars but when it comes to romance, none beats Croft’s and Graham’s. Croft is an incredible Port wine cellar on the top of the hill and on the back of Taylor’s, one of the most popular cellars. This means that at Croft there is way less people and you have an incredible romantic view over Porto just for you (and your better half!). 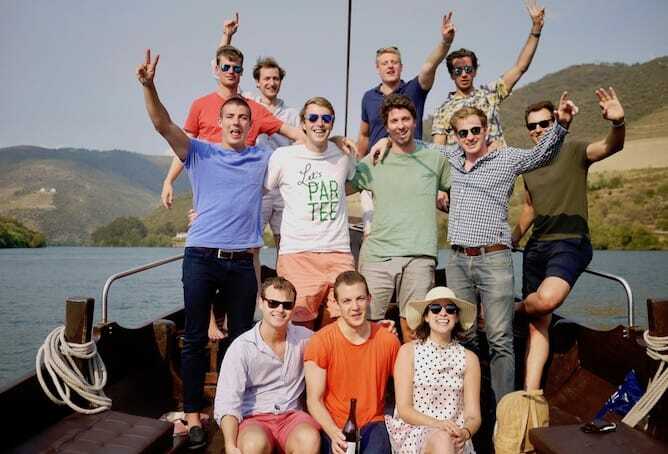 The guided visit to Croft plus three Port wines’ tasting costs 10€. And I highly recommend you for you to take them with the chocolate they provide. You can book your romantic visit at turismo.croft@croft.pt. Graham’s is another excellent choice for a romantic visit to a Port wine cellar as it is very elegant and spacious. The tasting room has a romantic view as well and the staff is as discrete and friendly as you can imagine. You can book your romantic visit to this Port wine cellar at grahams@grahamsportlodge.com. This is such a lovely thing to do if you are on a romantic getaway in Porto, as in many countries there are not tram lines. 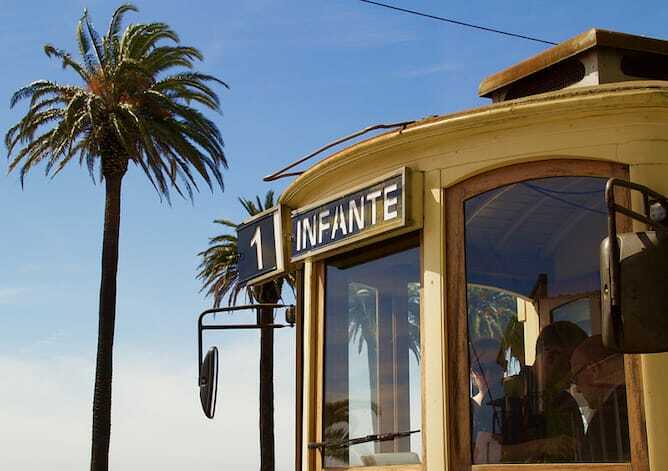 In Porto we have three, and I strongly recommend you to take tram #1 by riverside, which will lead you from Ribeira (Unesco World Heritage neighborhood) all the way to Foz, by the ocean. Check my article on how to travel by tram in Porto. 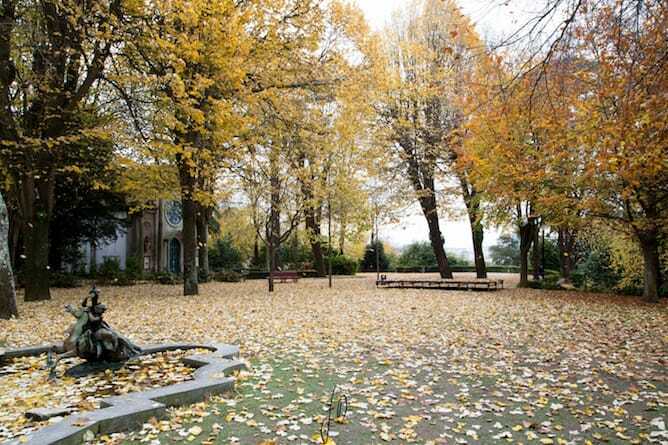 Walking at the Crystal Palace gardens is definitely one of the top romantic things to do in Porto! There is nothing not to love about it: the gardens are stunning and filled with beautiful creatures such as peacocks. 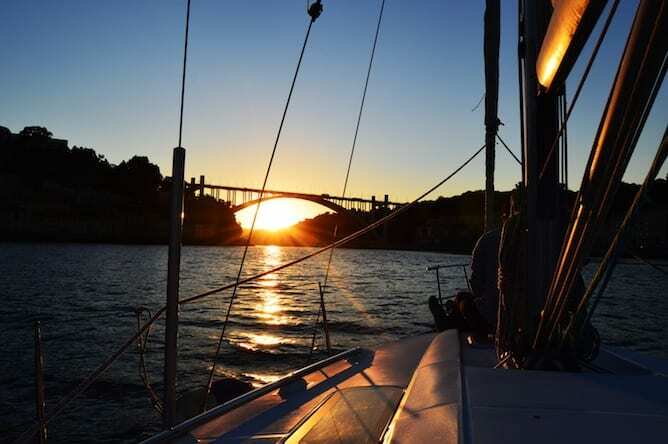 It has a stunning romantic view over Porto (more specifically, the Arrábida bridge). And it has free access! Take my suggestion and keep going down the stairs as you’ll find plenty of romantic, hidden spots at the Crystal Palace gardens. 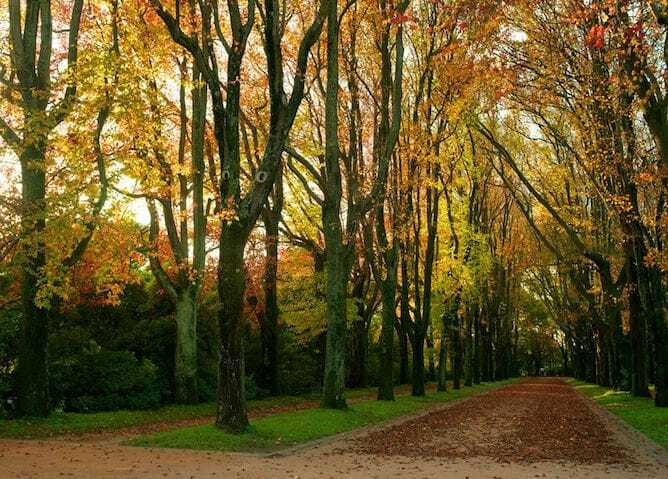 Serralves’ contemporary art museum has a very large park that was designed in such a way that there is always some tree blooming throughout the year. Moreover, it has large plan fields close to the lake where you can easily make a romantic picnic in Porto. My suggestion is for you to buy sausages, cheeses and bread at one of the typical grocery shops of Porto, a bottle of wine and some plastic glasses and go enjoy the company of your better half at Serralves’ parks. 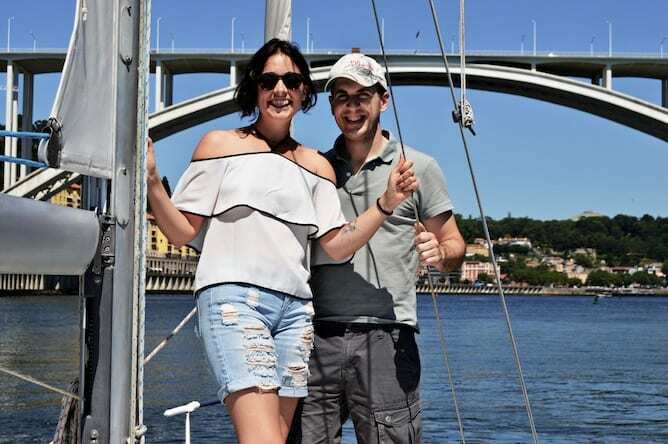 It is definitely one of the top romantic things to do in Porto! The ticket just for Serralves’ park is 5€. If you also want to visit the contemporary art museum, then the ticket is 10€ (garden + museum). You can buy the online tickets to Serralves, and this way you skip the queues, which are quite big! We say that the only good thing in Gaia is the view towards Porto, and I bet my chances that it is because of the splendid view over Luis bridge and Ribeira that you get from Serra do Pilar. You can simply get the yellow subway line to JARDIM DO MORRO and from there it is 5min walking distance. I thought river cruises were not for me until I tried a private one departing from Afurada, a small fishermen village just across Porto. 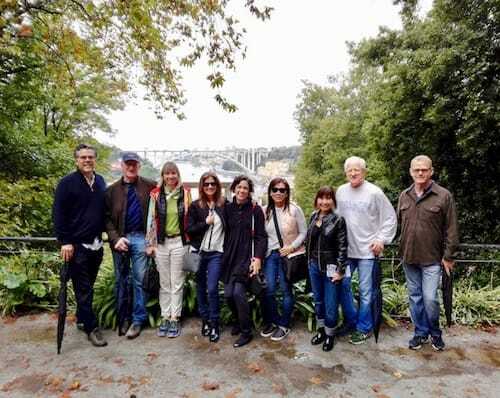 For 2h we had the opportunity to see not only Ribeira, the picturesque riverside neighborhood of Porto but also Foz, where the river meets the ocean. In the middle of the ride we were surprised with an amazing tasting of Portuguese sausages and cheeses and a glass of Portuguese sparkling wine. 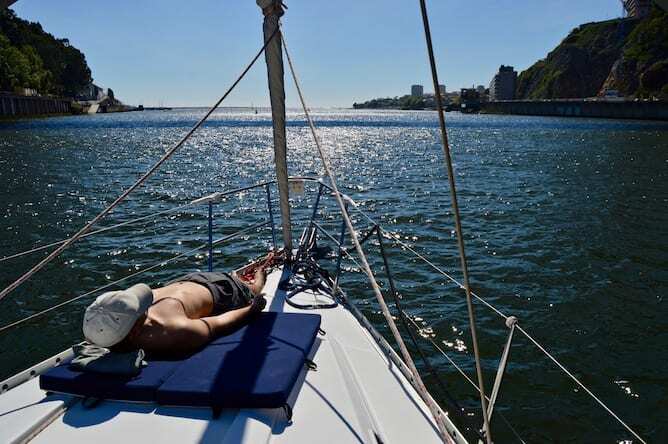 We felt so relaxed and in such a private environment that we even sunbathed on the boat! If you want to have a similar experience just email our sailor, Tomás, on tomassilva@flyfishinginportugal.com. Don’t forget to use the code PORTOALITIES5 to claim your 5% discount on any experience provided by him. I am sure you will not regret it as I am surely looking forward for my next trip there! If you’re enjoying this article, don’t forget to pin it for later! 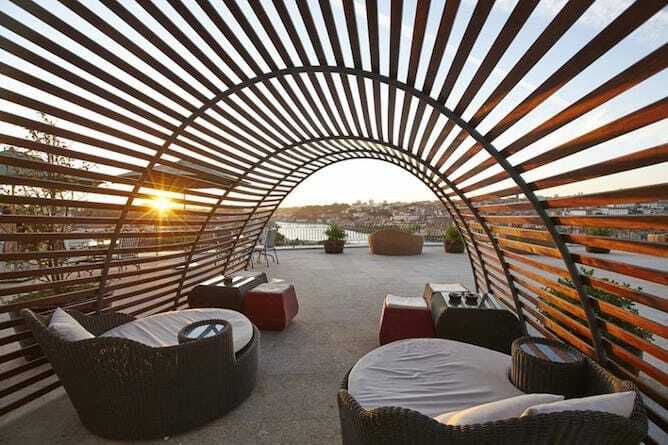 I am so in love with The Yeatman Hotel’s bar that it couldn’t be missing on the top romantic things to do in Porto! This five star hotel has a wonderful bar decorated in classical style with a magnificent view over the douro river and Ribeira. On warmer days, you can be on the large terrace on the outside. It is quite an expensive bar but you can simply have a glass of wine or some hot tea and stay there for a couple of hours as no one will bother you. And trust me, such a romantic view, enjoyed with the company of your better half, is definitely worth it! 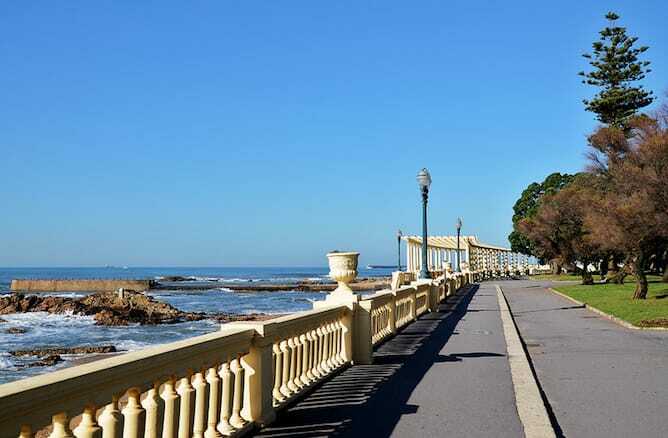 Foz, the ocidental neighborhood of Porto, is ideal for a romantic walk. There, you’ll be surrounded by fishermen and bike riders, while you walk gently by the water front. You can stop for a drink and a Portuguese dish at Casa de Pasto da Palmeira, it is a lovely spot at Foz. I honestly think that going to a concert at Casa da Música is one of the top romantic things to do in Porto! Casa da Música has a gorgeous concert room that combines baroque and contemporary architecture and the acoustic is terrific. It hosts concerts of several music styles and for different prices so I am sure you can find some that interests you. 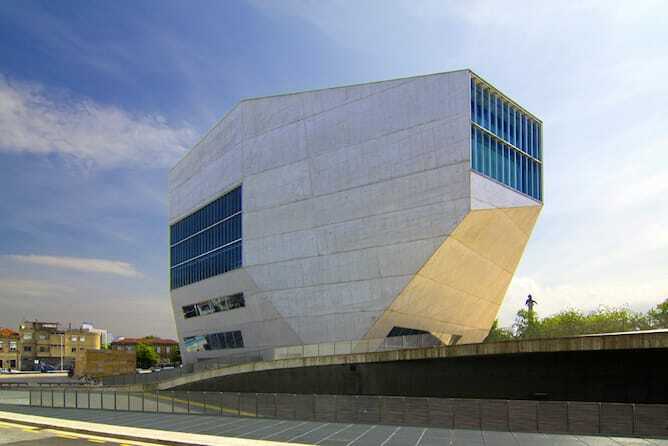 You can check Casa da Musica’s agenda here. 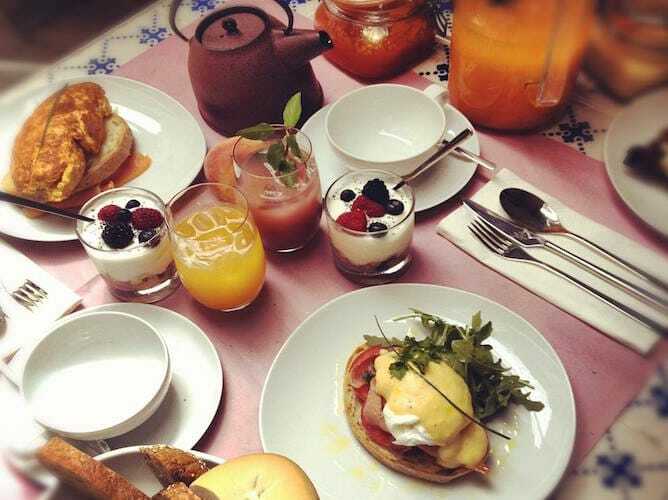 Let’s talk serious: is there something non romantic about having brunch?! 🙂 I thought so! 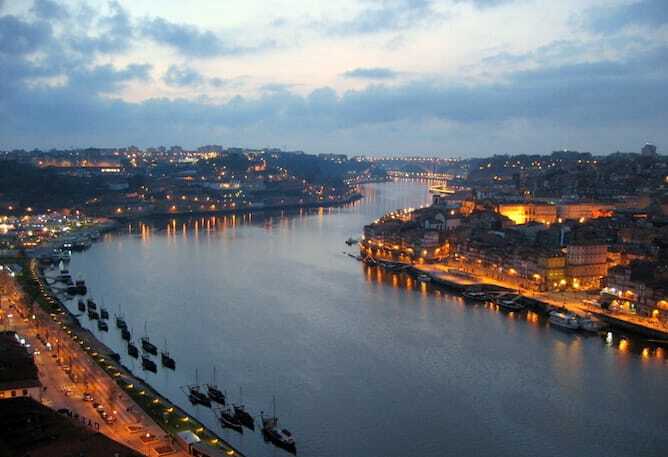 Which is why I included it on the top romantic things to do in Porto. I have already extensively written about the best places for brunch in Porto, but the places I go the most are Rosa Et Al, a lovely boutique hotel at Cedofeita, and Casinha Boutique Café, close to Casa da Música. The brunch at Rosa Et Al is more expensive (~20€) and it requires reservation. At Casinha Boutique Café the brunch menu costs 10,95€ and you don’t need to make reservation. If you are not really a brunch person, then you should consider going to one of the most romantic restaurants in Porto.